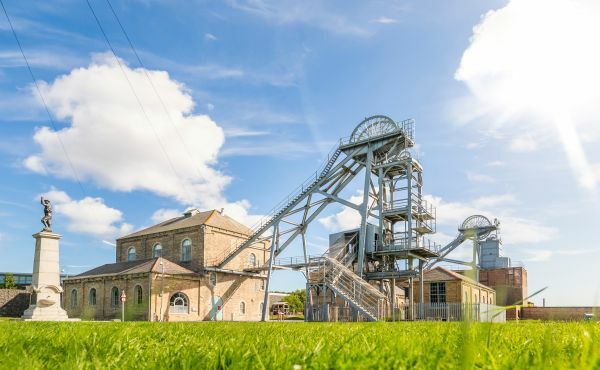 A world away from a traditional mining museum, Woodhorn is well-known for its fun events programme, including family picnic days, car shows and cos-play extravaganza, ‘Invasion’ - it even featured on Ant and Dec’s Saturday Night Takeaway. As of July 2017 dogs are also welcomed on-site too. 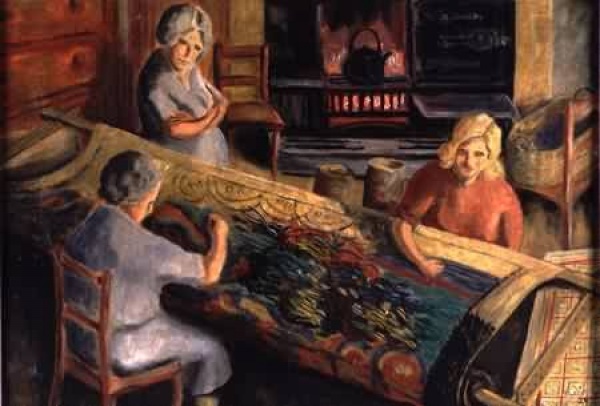 The museum is proud to house the Ashington Group Collection of artworks – commonly known as the ‘Pitmen Painters’. This iconic display showcases what daily life was really like for miners in and around Ashington from the 1930s. 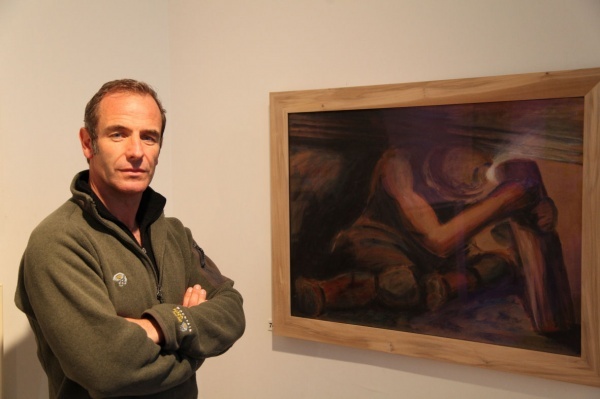 It is reputed to be the first collection of amateur art to go on permanent display anywhere in the world. Did you know that at its peak, over 2,000 people worked underground at the site? A whopping 600,000 tonnes of coal was mined from the pit each year. Come along and visit the North East’s last remaining coal mining built heritage and check out our winding houses – including the most powerful winding engine in the region and the ventilation fan which took a direct hit, but survived the German bombing of 1941. Our modern Cutter Building showcases our impressive banner collection, Coal Town exhibition and, of course, our iconic Ashington Group Collection. The mixture of the historic and the modern is something you can expect from all Museums Northumberland sites. Be sure to take a look at the wall of the Cutter Building which features a moving sculpture made up of 98 birds, fashioned from moulded miners’ gloves – each of which sadly represent a life lost at Woodhorn Colliery throughout its history. 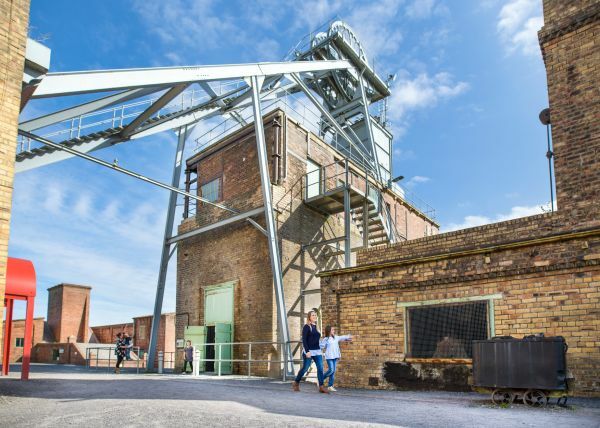 All visitors to Woodhorn will find a visit rewarding with almost all of the buildings open to the public fully accessible: only one or two places in the old colliery buildings are a little more challenging. Visitors are welcome to borrow one of three wheelchairs or a motorised scooter during their visit, and staff are happy to discuss any special requirements in advance of a visit. Please note that the Dark Side guided tours are only suitable for able bodied visitors. 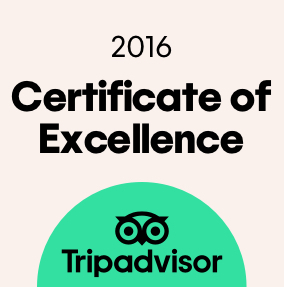 You might find our Google tour helpful in planning your visit. Please telephone 01670 624455 or email if you have any queries or special requirements. Woodhorn is just off the A189 Coastal Route east of Ashington, Northumberland. It’s only 25 minutes from Newcastle in the south and Alnwick in the north. It is also just off the C1 National and Coast & Castles cycle routes. If you are planning to use a sat nav, take care! 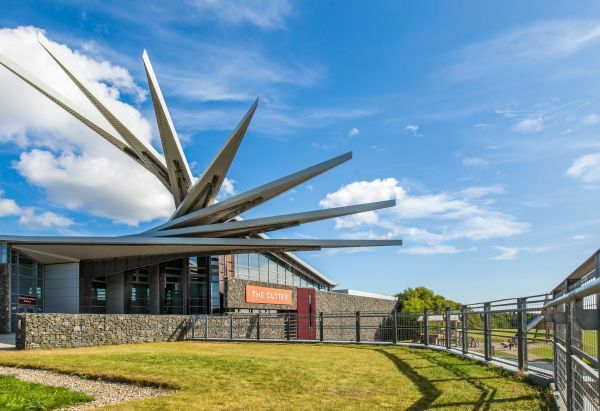 Woodhorn’s postcode will take you to the wrong location, so please watch out for the brown and white signs as you get close and then Woodhorn’s large, bright entrance banners. From here you can either take a 15 minute walk or take advantage of special taxi rates offered by Ashington Taxis on 01670 813315 or 01670 817382. If you decide to walk, here are the directions: turn right out of the bus station, and right again at the roundabout along the A197. Go straight over the mini roundabout, and after about 600 metres go through the white gates on the left-hand side. You’ll cross a freight railway line so please take care. Bear right and follow the path through the QEII Country Park to the Woodhorn car park. The nearest main line railway station is Morpeth and the nearest airport is Newcastle International Airport. Adult: £7.00 (Multiple adult purchased at the same time: £6.50). 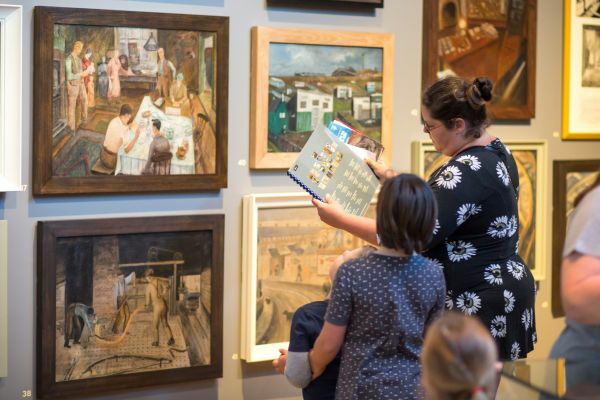 Children 16 and under are admitted free at all Museums Northumberland venues. 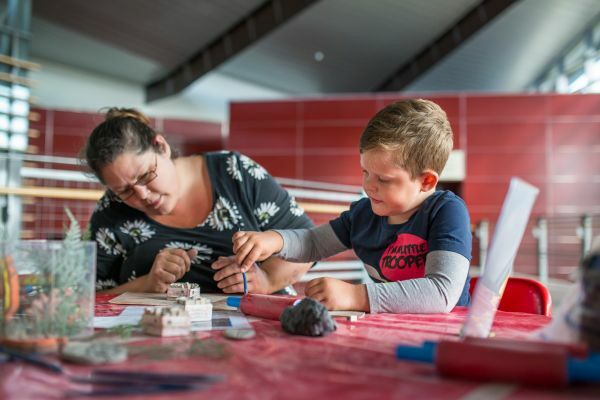 *Membership is valid for 12 months and includes unlimited return visits but please be aware that parking charges still apply on FREE community event days at Woodhorn Museum including Invasion Day and the Northumberland Miners’ Picnic. Visited with our 6 year old grandson( his 1st visit). Brill visit - all staff friendly nd knowledgable. Lots to see nd do nd perfect weather for enjoying outdoor activities. Ample parking nd lovely cafe and shop( prices what you would expect). Free entry for children to 16. Annual membership very reasonable. Train ride lovely. Recommend a visit. We went this morning on a bitterly cold day but plenty inside when you get too cold from being outside. I had been meaning to go for a long time as only a few miles away and I was really pleasantly surprised. Very poignant displays and I would think it would suit all ages Had a tea and cake in the cafe which was good and reasonable. 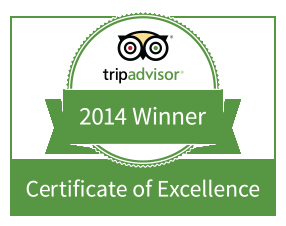 All the staff were friendly and helpful - thoroughly recommend! The museum itself is a more a collection of various outbuildings. There was an interesting art event on during our visit. The entry ticket entitles you revisit for 12 months. Could be worth another visit if there are special activities for children. Reasonably priced gift shop. I understand there is a little narrow gauge railway but it was not open during our visit. This is a great little museum to fill a couple of hours in. 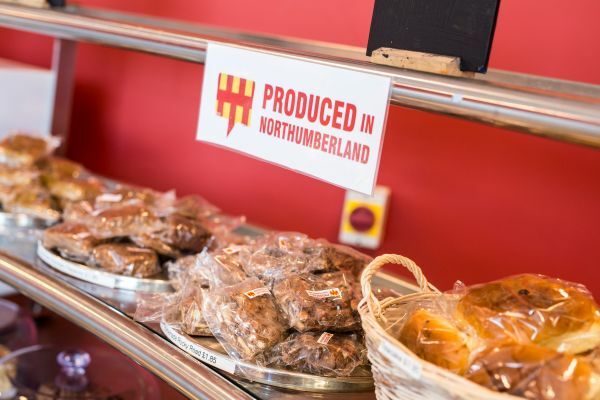 Interesting displays, nice cafe, a little expensive and gift shop offering unique Northumbrian Gift. One off payment for 12 month entry.